Pet dogs are part of the family and deserve the best possible care an owner is able to provide. That means getting regular check-ups from a vet and ensuring measures are taken to fight any conditions a pet might develop. Among the medicinal options for a pet dog is alternative medicines. Learning about the options and what it can help will provide owners with the educated decision needed to determine the best treatments available. Acupuncture is among the most popular complementary solutions available for pet dogs. This form of medicine was originally developed in China and is most often used to treat pain and similar discomfort in humans and pets alike. The tiny needles used in acupuncture primarily work by stimulating the nerves within the body. When the nerves are stimulated properly, the feeling of pain is reduced. The needles are used to help stimulate pet appetite, improve circulation throughout the body, reduce the feeling of pain, alleviate nausea and eliminate muscle spasms. Acupuncture is usually used as a complementary treatment with traditional medicine to alleviate immediate symptoms while the medication works on eliminating the source of the discomfort. This form of alternative medicine is primarily about improving pet comfort and is most effective for large dogs with joint discomfort or body pain. The treatment is not used to treat parasites, injuries or sickness caused by viruses or bacteria except as a complement to help relieve symptoms so traditional medication can remove the cause of discomfort. Traditional medication is used to kill and remove parasites or other root causes of pet sickness. Chiropractic treatments are often used for humans who are facing arthritis or similar pain in the joints, bones or muscles. It is also used for some dogs as a treatment for arthritis and back pain. Chiropractic treatments use adjustments to help improve the body’s feeling of pain or discomfort. While science has not yet discovered the particular cause of the treatment’s effectiveness, studies have shown that these treatments are useful when fighting pain. This is a less common treatment for dogs, but some vets who practice complementary medicine might use adjustments to help older dogs who are suffering from arthritis pain. Herbs and similar medicines have long been used as part of human and pet treatments. For centuries, medicinal plants have help fight off infections, reduce pain and heal wounds. Pet owners can use herbal medicines to treat many dog ailments caused by viruses, bacteria, parasites and even injuries. Pets will commonly eat certain herbs when feeling nauseous or fighting off sicknesses. While many of the herbs used for pets are similar to those used in human alternative medicine, pet owners should keep in mind that variations exist. As with any medication, pet owners should discuss the use of herbal treatments with a vet before using it on their pet pooch. Dogs of different sizes and breeds will have different treatment requirements. Like any medication, herbal treatments can become dangerous if a pet is given too much. Herbal treatments are effective for almost any health problem, but should be used with caution and according to the directions of a vet. Pet owners should not deviate from given instructions to ensure the safety of their dog. Massage is more than just comforting to a pet dog. It actually helps improve blood circulation, improves muscle mobility, relieves tension in the muscles and can help keep the muscles supple and flexible. Massage is used for muscle related problems and is useful for any pet dog who is getting older. 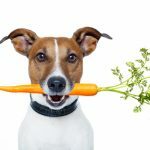 Alternative medicine for dogs is primarily about complementing traditional treatments, fighting off medication side effects or helping to improve a pet’s overall health. When used appropriately and with a vet’s supervision, pet owners should see better health and less pain in their dog. Alternative medicine is useful when managing the health of a pet.